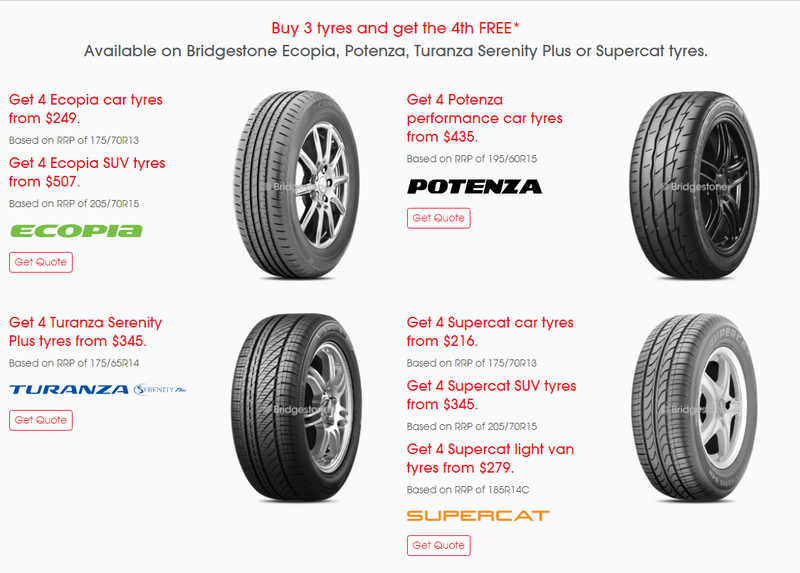 *The 4th tyre free offer is valid on purchases of four Bridgestone Ecopia, Bridgestone Potenza, Bridgestone Turanza Serenity Plus or Supercat tyres in one transaction between 01/11/2018 and 30/11/2018 and is redeemable in store. Offer excludes wholesale purchases and all other tyres manufactured or distributed by Bridgestone. Not available with any other offer and while stocks last. +Available on Bridgestone Turanza Serenity Plus tyres, only at Bridgestone stores. Full terms and conditions here. All times are GMT +11. The time now is 02:38 AM.